This rare expression of Napa Valley winemaking is one of only 60 bottles that will ever be made. Think of it as a bit of Napa Valley history in your cellar and celebrated in a glass with friends and family. Your Premiere Napa Valley wine is a 100% Coombsville Cabernet Sauvignon, hand-selected and crafted by winemaker Luc Morlet. It is a true expression of the distinctive microclimate (cooled by the fog and breezes blowing off of San Pablo Bay) and terroir (gently sloping, eastern-facing terrain with slightly distressed volcanic soils) found in the Coombsville nested appellation. Barrel fermented using native yeasts, the wine was barrel aged in 100% new French oak, unfined and unfiltered. Brimming with dark fruit, bright acidity and a lush lingering finish, this blend that reflects a passionate pursuit of creating exquisitely layered Cabernet Sauvignon. Wine has always been a way of life for Luc, who grew up working on his family Pinot Noir and Chardonnay domaine, Pierre Morlet & Fils, in Avenay-Val-d'Or, Champagne. Born in Epernay, France to a fourth-generation winegrower family, Luc, as a child, enjoyed learning about all of the practical and technical aspects of vineyard farming and winemaking. 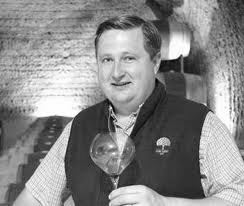 Education: Luc Morlet is a Masters graduate of Enology from Rheims University, France and holds both a Viticulture degree from Ecole Viticole de Champagne and a MBA in Wine Business from Dijon Business School, Burgundy. Passionate for both the expression of the terroirs as well as for the continuous pursuit of the ultimate quality, Luc calls his winemaking philosophy neo-classic laissez-faire without compromise. In other words, Luc describes it as a non-interventionist winemaking style driven by an ongoing search for quality improvement. With over 20 vintages under his belt (13 in California and 9 in France), and with his own zest for innovation, Luc uses century old principles and classic Burgundy and Bordeaux methods, while adapting to California's natural conditions.